Where did we come from? What does our future hold? If you're interested in the Planet's most mysterious ruins, forgotten cities, buried secrets & unearthing of our past and to discovering our future! ... Welcome! 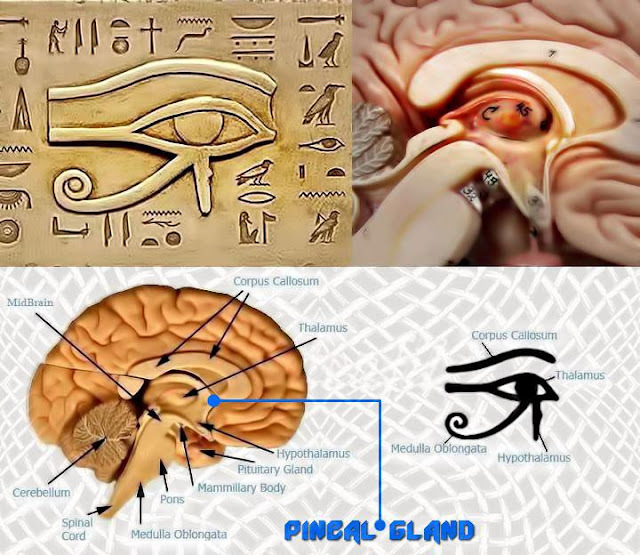 The Pineal Gland is regarded as one of the most important parts of your nervous system. It is shrouded in mystery, but as more and more people investigate it they are realizing it is essentially a spiritual antenna, the mystical third eye that ancient traditions have been talking about. For many eons, the third eye has been seen as a way to reach higher levels of consciousness while still being present in a physical body. Ancient Egyptians use a symbol that looks exactly like the gland. Is that coincidence? No, I don't think so. So they did study Anatomy, maybe even discovered more than we have. Or did we discover it from them? Water crystals and emotion. Apparently water picks up on our emotions? I think we all have brain capacity & IQ yes, as well as Mind power. What do you think? Wow. Pineal glands? And Eyes of Horuses?? I didn't expect that, nor knew you were interested in such things! That's one of my favorite areas of research. The ancients knew vastly more about mind and the nature of reality, than our scientists do currently. Which we are only now rediscovering. Some passed down the knowledge, but they're not too keen on revealing their secrets! If they did it would tip the balance. Are you familiar with Graham Hancock? Jim Marrs? Gregg Braden? Steve Greer? Entrepreneur I'm not familar with those names but i'll look into them. I'm curious about it because it's also a big part of my ancestry that my family was removed from. In ancient india my paternal side decended from male yogis. These yogis could tap into the 3rd eye & use it willfully. My ancestors were taken by force to the caribbean in the early 1800's by the brits. There is alot of data out there not only in egypt. 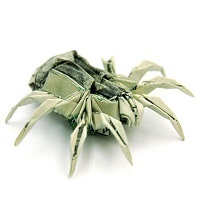 Interesting article, could be possible, it never crossed my mnd though! I'm not into David Ickle. He doesn't seem genuine, something about that man is off. I mentioned before that if we seem to be ruled by an elite sytem why would they let guys like him stick around He's to organised & too well put together as well ... like it's all given to him & he's a the face of it all.